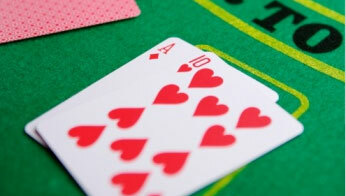 Basic strategy chart is the most essential thing for those who intend to start playing blackjack. It has been developed by Edward Thorp, an American mathematician, who, in the world of gambling, is most famous for writing the book called “Beat the Dealer” (first published in 1966) where he proved that if one is counting cards, the advantage can be on the side of a player, and not the house. The chart itself is easy to read, it is very alike to the table of Pythagoras, but instead of numbers you see card combinations and the options: Hit, Stand, Double Down and Split. all the blackjack variations! Click here for more charts. 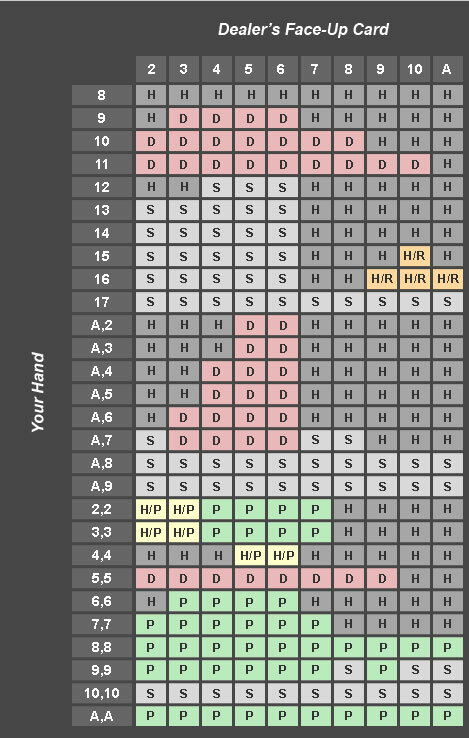 If a player wants to use this chart - it’s better to memorize it, as you won’t be able to use it at the Land-based casino like a crib.